This functional city office for an overnight camp combined outdoor and indoor elements to welcome employees and guests. 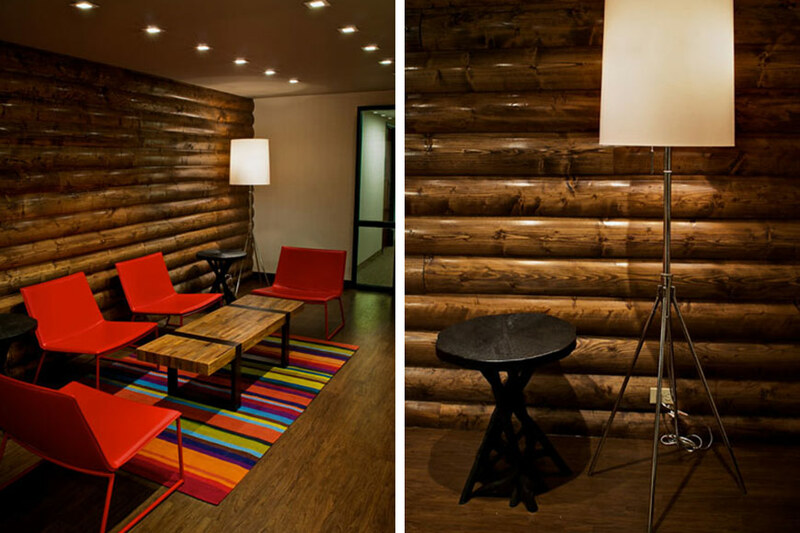 The rustic accent log wall is enhanced by the presence of slick and contemporary features – the wall recessed flat screen with a camp slide show, a mission statement on a clear acrylic panel and colorful furniture. The 4000 square foot space features private offices that surround an open area. 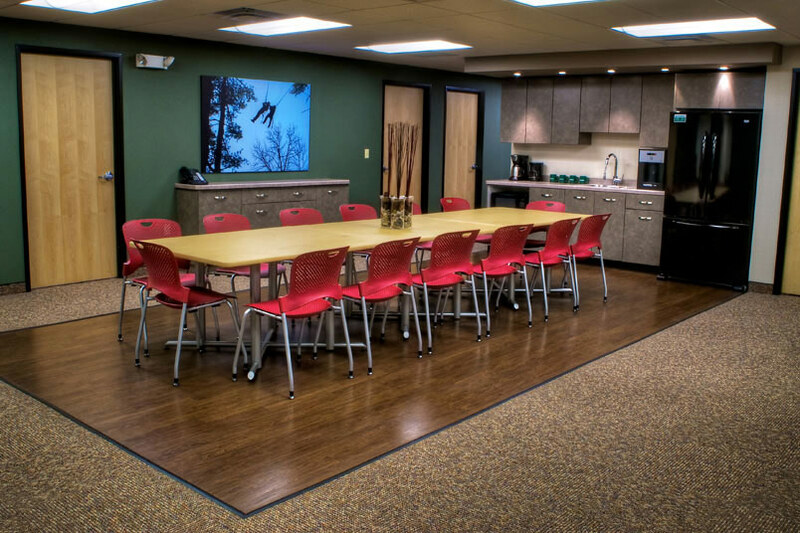 There is a flexible common area designed for office meetings and gatherings as well as a hospitality area. 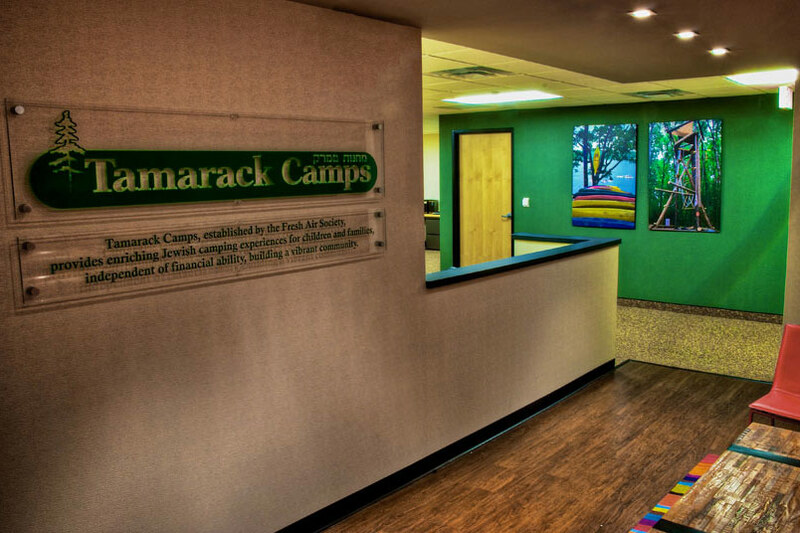 Oversized camp photos provide a splash of color. Arik Green Design, LLC / 2560 Wolcott Street, Ferndale, MI 48220 / arik@arikgreendesign.com / TEL. 248.496.2792 / ALL RIGHTS RESERVED.